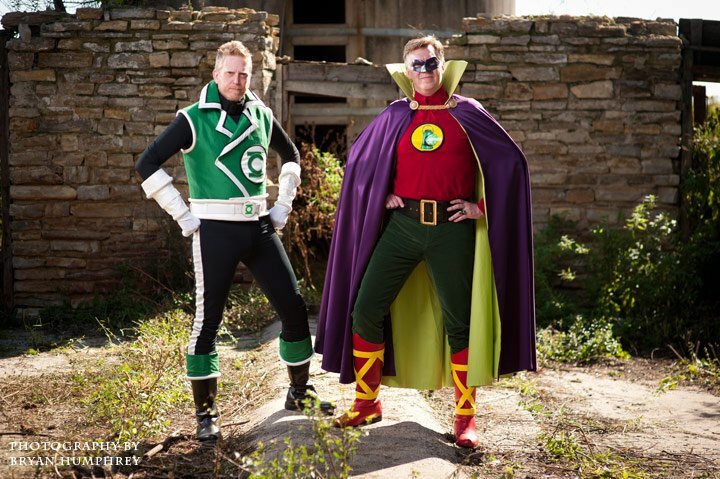 The Thrift Brothers are Minnesota Costumers who are well known for their love of costuming. 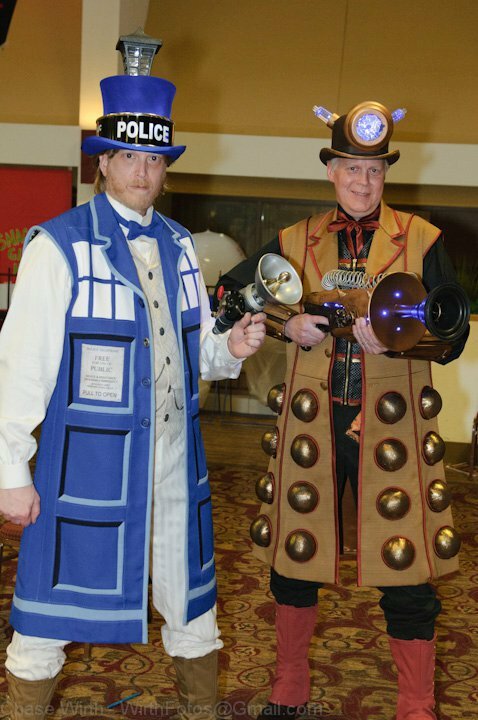 From super heroes to cartoon characters to the Steampunk Doctor Who Tardis and Dalek that they wore to CONvergence this year, they are an inspiration to other costumers in a variety of genres. 1. How did you get into costuming? Did you do any schooling for it? Yancey: I started sewing in college. I was required to put in hours for my intro to theater class. I continued to work in the college costume shop. That’s where my love of costuming started. Damon: I got into costuming in college (1986-1989), I was into making props and I did some work on several shows. I started helping out in the costume shop at Mankato State. I helped redesign and make a new, friendlier MSU Mavericks mascot. The summer of 1989 I worked on Sesame Street Live at Vee Corp in Mpls. I did a few costumes after that, my Joker, a fantasy costume with a muscle suit, then a clown costume, which I later turned into a Simpsons Krusty the clown costume. I stopped for 10 years and started back up after going to Marscon in 2007. 2. Do you do this for a living? Damon: No, I work retail. Yancey: Historical with some fantasy thrown in to shake it up a little. 4. Within Historical or Fantasy, what is your favorite genre or time period? Yancey: I don’t really have a favorite. I like many genres and time periods. Damon: Most of my costumes have been super hero related. But after we made our Steampunk Doctor Who costumes I am really loving the Victorian inspired Steampunk stuff. 5. 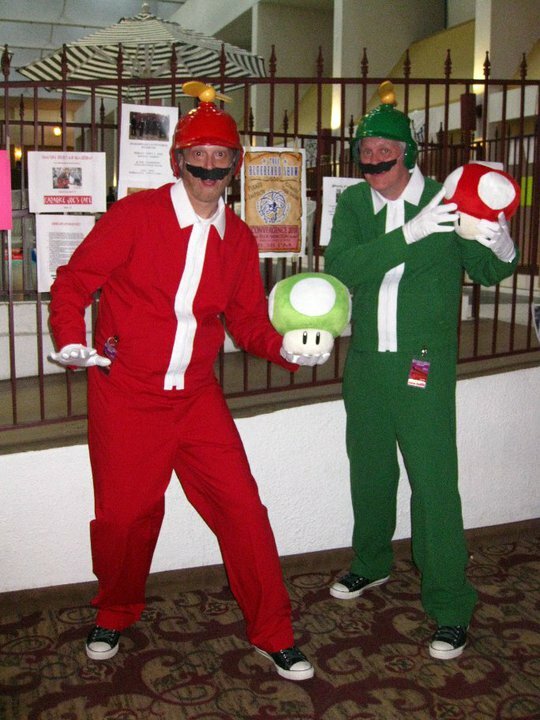 What was the first costume you ever made? Where is it now? Yancey: A “renaissance” pair of breeches and shirt. Donated it. Damon: I made a Tim Burton Batman Joker costume. It is in storage. 6. What is your favorite costume you have made? Your least favorite? Yancey: I, of course, like them all, but I think my favorite might be my Music Meister. Least favorite? I guess, I would have to say my Hank Venture/Venture Bros. but Damon and I bought pretty much everything for that. Damon: I love them all, but I really love the last costumes we made, our Steampunk Tardis and Dalek. Least favorite from me, the first costume we made was my Green Arrow, not that I don’t like the costume, we just chose the wrong fabric, polyester and it was hot and scratchy. The polyester parts have since been remade in a nicer fabric. 7. Hand or Machine Sewing? Yancey: Both, whatever the task requires. Damon: I like both, depends on what I am doing. 8. If machine, what kind of sewing machine do you have? Yancey: A 27 year old Kenmore. Damon: My old costumes from 20 years ago were sewn on an old machine my mom had, I have a sewing machine, I have no idea what it is, it is in a box. I rarely use it, I do 99% of my sewing at Yancey’s on his machine. 9. Do you have a dedicated sewing space? Damon: No, I have a work area in the basement I work on props and I use the garage and driveway in the summer for working on the props. All my sewing I do at Yancey’s house. 10. Where do you store your costumes/wigs/accessories? Yancey: A closet in my spare bedroom. Damon: Either at Yancey’s house or in the upstairs bedroom. 11. Do you attend any Cons? Damon: Yes, Marscon was my first con 5 1/2 years ago. Then CONvergence that same year. 3 years ago I started going to Dragoncon in Atlanta, the best costume con I’ve ever been too. Yancey is finally coming with me in 2012. 12. Where do you get your inspiration for costumes? Yancey: Many sources…movies, television, comic books, action figures, books, the internet. Damon: Cartoons, action figures, movies. 13. 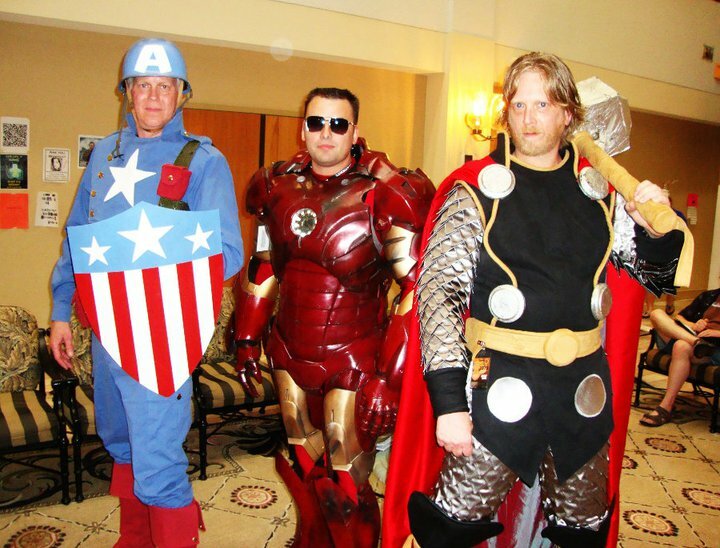 What is your favorite movie costume, or movie for costumes? Yancey: Dangerous Liaisons. 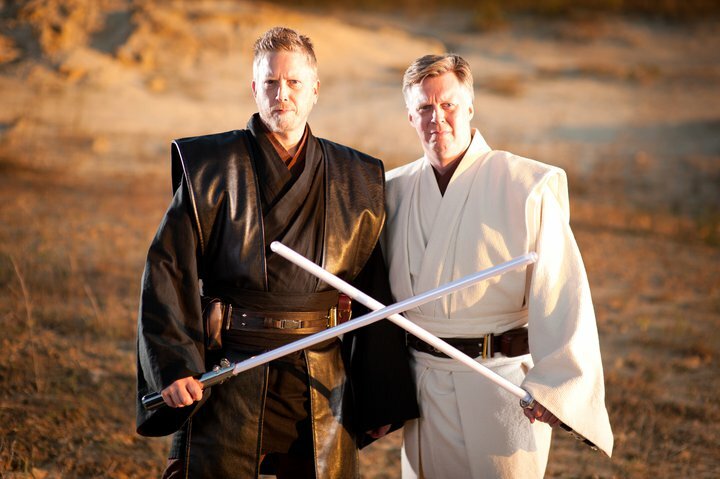 I personally don’t have a costume from this period, but have made them. Damon: I have a few, Dune has amazing costumes, I love the 80’s Batman films, all 4 of them and I love the new Thor movie costumes. 14. What costume is on your Must Make Someday List? Yancey: The Fifth Doctor from Doctor Who. Damon: I’ve always wanted to make an Optimus Prime Transformer costume. 15. What costuming won’t you do? 16. 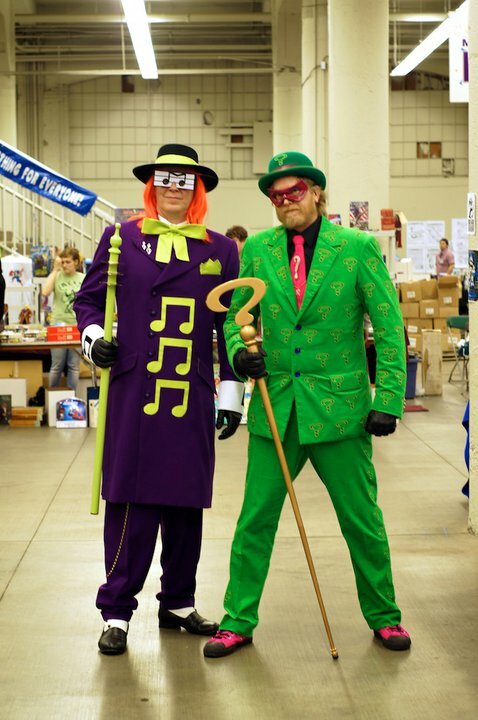 Is costuming about the character for you, or about dressing up? Yancey: Both, but mostly dressing up. Damon: Dressing up mostly, but you do tend to feel like that character when you are dressing as them. 17. What kind of resources do you use to design your costumes? Yancey: My brother Damon. He does most of our designing. Damon: Movies, comic books, Action figures, the internet. 18. What are your favorite sewing tools? Yancey: I have a 4’x8′ cutting/work table that makes my work go a whole lot easier. Damon: I do all our props, I couldn’t live without my Dremel. 19. What is your favorite fabric store? Yancey: SR Harris, but I go wherever I need to, to hopefully find what I’m looking for. Damon: SR Harris, but go where you have to find what you need. Yancey: A cosy flannel bathrobe for myself. I know, not very costumey. Damon: We are in the design stage for Steampunk Wonder Twins from the Super Friends. 21. What do you like best about costuming? Yancey: It’s great when you do something that a number of people have a big reaction to. I also like that it lets me spend more time with my brother. Damon: I really love searching for fabric and working with my brother Yancey to create the costumes. I love the creative process with him. Then it is the cherry on top to wear them together and show them off. 22. What is the one thing you’ve learned over the course of your sewing life that would have saved you a ton of time had you known it from the start? Yancey: If at all possible, pick the right fabric for the job. You can make a garment out of most any fabric, but the degree of success will depend on your fabric choice. Damon: I’ve learned give yourself more time then you think you are going to need, it always takes longer.